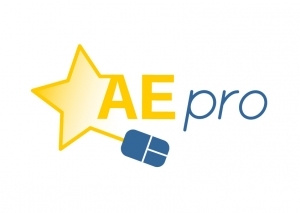 AE-PRO, European Adult Education (Young) Professionals Learning Platform, was a three-year project coordinated by EAEA and supported by 8 partners from various countries. Younger staff in adult education in junior positions tend to have fewer opportunities to participate in European events, projects, and activities and are therefore not as knowledgeable about European developments and innovations as their more senior counterparts. Many adult education staff do not have formal training in adult education. Grundtvig mobilities that provide opportunities for the professional development and training of staff in adult education are not fully utilised or coordinated. What did we aim to achieve? Increase the knowledge of staff about adult education in Europe. Increase the exchange of innovation between adult education staff across Europe. Increase the quality of adult education staff and providers. Increase the professionalisation (and quality) of adult education staff within and beyond Europe. Support exchange between different generations of adult education staff (intergenerational learning), and the learning of experts as well as peers. Increase the coordinated use of Grundtvig mobilities. Provided a comprehensive training course for adult education staff that brings together European developments; peer learning about each other’s systems and organisations; and European mobility. Provided online training on European developments in adult education and learning. Provided online training on national developments in adult education. Created an online peer learning platform. Established a network of trainers and experts. Built a sustainable mobility platform for adult education staff. Extended the EAEA younger staff network. Provided a portfolio for the acquired competences to complement national certification. Introduced a mobility charter for organisations hosting mobile (visiting) staff from other countries. Who was this work for? Adult education staff (especially younger staff) across Europe. Adult education organisations and providers within and outside of Europe. First Steering Committee meeting: Brussels (Belgium), 18-19 February 2014: The first meeting took place in Brussels, Belgium and lasted 2 days. The meeting launched the first phase of the project; outline the aims and objectives of the project; and provided presentations on: the workplan, the training development, the division of tasks, quality criteria, and the development of an online peer learning platform. Second Steering Committee meeting: Leicester (UK), 5-6 November 2014: The second meeting took place in Leicester, UK and lasted 2 days as well. During the meeting, partners worked on the course design, could see the progress of the online platform, discuss the mobility charter and the communication and recruitment strategy. Third Steering Committee meeting: Malmö (Sweden), 19-20 May 2015: A first evaluation of the beginning of the course as well as trainings for the upcoming sessions took place during this meeting. Fourth Steering Committee meeting: Porto (Portugal), 26-27 November 2015: Evaluation of the 2015 course and discussions on the 2016 course and the project follow-up took place at this meeting. Fifth Steering Committee meeting: Brussels (Belgium), 18 January 2016: During this partner meeting, partners designed in detail the 2016 course. Sixth Steering Committee meeting: Brussels (Belgium), 13-14 October 2016: During this last meeting, some training participants were invited to give feedback on the training. The consortium evaluated the project and though about its future steps. A network of trainers and experts. Mobility charter for host organisations. The ‘Adult Education Mobility Charter’, created by the AE-PRO project, is a support framework of learning mobilities for all participants and activities. It supports any agreement between participants and activities and has a wider ambition to foster cooperation between individuals, organisations and institutions. Access, participation and active experiences in the field of adult education should be reconsidered in order to gain more knowledge and share good practice. Every person (educator, teacher, trainer, stakeholder, etc.) engaged in adult education, especially younger staff, should have the opportunity to learn and develop their skills as part of their continuing professional development (CPD). Currently only a few have the opportunity to attend and participate in activities which are otherwise open to everyone working in the adult education sector. Adult education providers are invited to support the Charter. By doing so, they take a public commitment to say that they respect the standards and values defined in the Charter. For potential mobility applicants, this is a strong signal that the learning mobility will take place according to standards that both parties agree with. In parctice, endorsing the Charter means that your organisation is included in a list of supporters on the website of the European Association for the Education of Adults (EAEA). See the list of organisations that have already signed. To officially endorse the Charter, please contact the EAEA project Manager. The Charter supports the mobility and cooperation between European countries and adult education organisations within those countries. It strengthens the role of adult education in confronting European challenges through cooperation and exchange between adult education organisations and adult educators. The Charter promotes appropriate forms of mobility and funding. It aims to improve the quality and efficiency of education and training systems, as well as “foster cooperation between individuals, organisations and institutions”. The Charter increases the mobility of adult education (for younger) staff and improve its conditions. It helps to ensure that mobility participants always have a positive experience both in the host country and in their country of origin on their return, and to provide guidance on mobility arrangements for learning or other purposes, such as professional betterment, to all participants in order to enhance personal and professional development. The European Association for the Education of Adults (EAEA) is the voice of non-formal adult education in Europe. EAEA is a European NGO with 137 member organisations in 44 countries and represents more than 60 million learners Europe-wide. RIO/FOLAC is the international mission for the 150 Swedish folk high schools. FOLAC is founded by RIO, the national umbrella organisation for the 107 folk high schools run by civil society organisations and SALAR representing 43 folk high schools run by local and regional authorities. Enhance the cooperation between the folk high schools on international issues. FOLAC wants to generate contacts between people and institutions engaged in folkbildning and adult education, and is actively engaged in international organisations as the Nordic Folk High School Council (NFR), EAEA and the International Council for Adult Education (ICAE). KVS works as specialist and service provider of adult education. KVS publishes, informs and educates. KVS cooperates internationally and speak for the importance of adult education. KVS networks, cooperates and challenges and provides opportunities for debate. An independent policy and research organisation dedicated to lifelong learning, full employment and inclusion brings together over 90 years of combined history and heritage from the ‘National Institute of Adult Continuing Education’ and the ‘Centre for Economic & Social Inclusion’. LWI wants everyone to have an opportunity to realise their ambitions and potential in learning, work and throughout life. LWI believes a better skilled workforce, in better paid jobs, is good for business, good for the economy, and good for society. Adult Education Society (AES) is non-governmental organization founded in 2000 and dedicated to promotion and implementation of the concept of lifelong learning, affirmation, support and improvement of adult education, support to the European integration and regional cooperation of Serbia through adult education, as well as promotion and support of Serbian andragogy. AES act both as a kind of “think tank” organization and as implementing organization for different projects, through cooperation with large numbers of national, regional and international partner organizations. The main international partners are DVV International (Institute for International Cooperation of the German Adult Education Association), EAEA (European Association for Adult Education), UIL (UNESCO’s Institute for Lifelong Learning), SVEB (Swiss Federation for Adult Learning) and many other European adult learning national organizations. Since 2002. AES is a member of EAEA, and represents interests of non-EU countries in the EAEA Steering Committee since 2008. Landesverband Saarland is a professional association of the Saarland adult education centres. The association membership consists of 16 adult education centres in Saarland, where approximately 120,000 participants take part in nearly 9,000 adult learning events every year. The association has a full-time open office in the state capital of Saarbrucken. Through the National Committee for Further Education of the Saarland Ministry of Education and Culture, whose office is managed by our association, we are networked with all relevant actors of adult education in the Saarland. In addition, important pillars of our network are our memberships in the German Adult Education Association, in the EAEA, in the European Movement Saar, in the education network Saar and in the Language Council Saar. The DAEA is an umbrella organisation (NGO) catering for 34 countrywide member organisations, all working with non-formal adult education. DAEA’s goal is to ensure the best possible conditions for non-formal adult learning. We consider it an objective of non-formal adult education to contribute to education of all individuals and to improve active commitment of every citizen in the development of a society of freedom, equality and democracy. Through social and lifelong learning activities and projects we provide to the community formal training courses, and also non formal and informal activities that promote well being, active citizenship and personal development. One of our main focus areas is also the recognition and validation of competences of adult learning: Kerigma runs one of the first centers created in Portugal, since 2005 and has been working in the field of validation since then with more than 3000 adults in Portugal. We also offer some other projects and activities to our region and partners related with gender equality issues and social inclusion. ICAE is a global network with a specific mandate to advocate for youth and adult learning and education (ALE) as a universal human right.